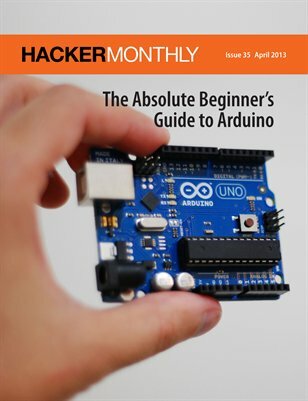 Our latest issue has Arduino Uno on the cover, featuring "The Absolute Beginner's Guide to Arduino" by Andrew Chalkley, and "How I Created a Matrix Bullet Time-Style Rig" by Martin Legeer. In the "Programming" section, there are articles about Haxe, server administration, PostgreSQL and more. Lastly, read about "Goldeneye 64's Inspirational Startup Story", "The Joys of Having a Forever Project", and "Avoiding the Stupid Hour" in the final section of the magazine.